Hopefully the use of my tablet will make keeping this blog up to date a lot easier. 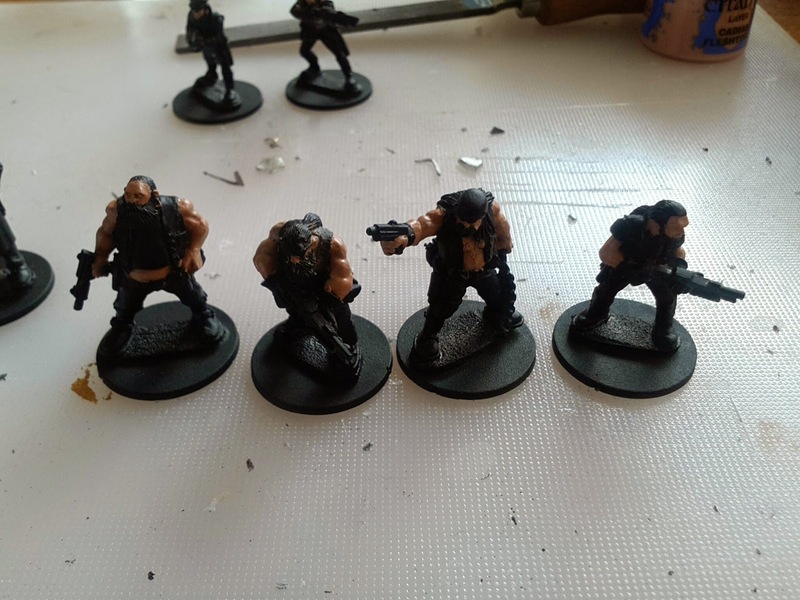 At the moment i'm working on completing my chaos marines, but as an intermezzo i'm painting some copplestone thugs for oud temporary RPG campaign. The're a mix of bikers, criminals, militia and police officers. 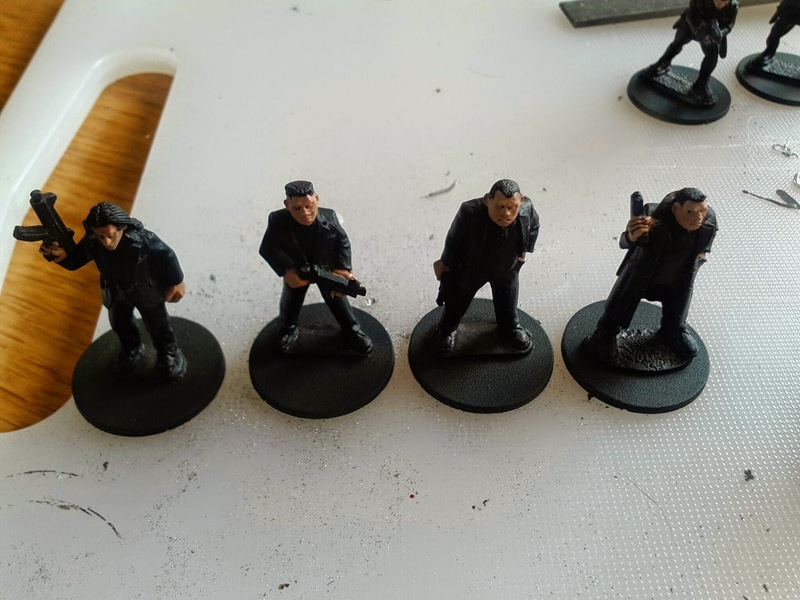 I purchased them years ago with the idea to use them for some sort of crimefighting game. I cherish the thought I might actually get around to doing that someday. For now I'll have to settle for using them as RPG props.